Club Fonograma Archive: MP3: Tony Gallardo II - "Innervision"
It is fair to say now that expectations have become really high anytime Antonio Gallardo's artistic personas delivers some kind of new material. 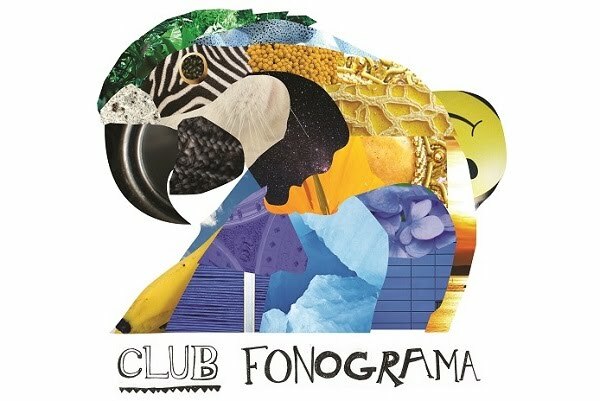 And I would say that Club Fonograma was one of the first webzines that risked to guarantee this continuing growth in Gallardo's career ever since his exceptional debut Espíritu Invisible in 2010 under his moniker of María y José. Now as one of the top electronic acts not only in Mexico but also in the Latin American electronic scene, Tony Gallardo accomplishes to stay deeply embedded on working and mastering his sounds without being overrated. As it was teased earlier this year, Tony Gallardo II was being resurrected from its torment and today the Tijuana kid (is he still a kid?) delivers the first track from his upcoming release Deep Wow. "Innervision" encapsulates Gallardo's best, broadly encompassing whatever falls between techno and no wave. This is nightmare music, culled from both sleep and waking consciousness. There are times when I can't help but feel like I've heard everything worth listening to. Over the years, I've grown to expect little from new music, succumbing to the post-modern suggestion that everything has been done before. But when I listen to something as wildly unpredictable as "Innervision," I can't help but feel like there could be something new around the corner.